People often get dehydrated while traveling. Because of the low humidity levels in planes, we will use up the water in our bodies much faster. Though flight attendants are often willing to give out extra water to passengers, even when it is not time for them to bring the drink carts around, but in certain situations they are not able to. When the plane has landed on the tarmac and is waiting to find its new gate, flight attendants are often not allowed to hand any drinks out to passengers. You could be stuck on the plane for several hours with little to no means of hydration. 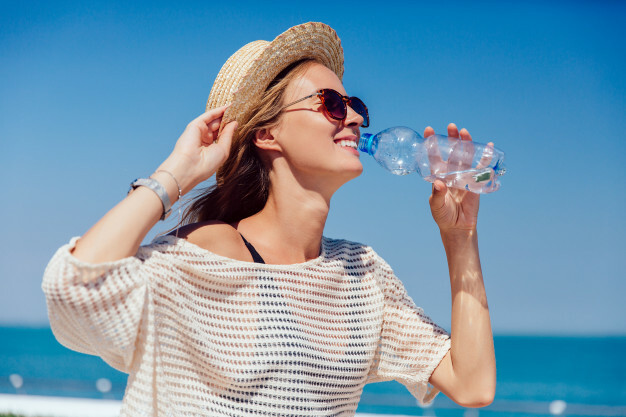 Once you are finally off the plane, you have the option to buy a water bottle at the airport, but airports often offer products at inflated prices.You also have the option to drink tap water, which is in many cases completely fine, but some countries do not have safe drinking water. Even some cities in the United States do not have safe drinking water, one of the biggest recent examples being Flint, Michigan. Even if you have purified water in a bottle for drinking purposes, you may need to still ask yourself if the tap water is safe. Brushing your teeth, washing off fruit and vegetables, or even just getting water for your coffee in the morning all require water, something we often take for granted is fine coming from the sink in our kitchen or bathroom. We do all of these without even considering it at home, but while traveling in foreign countries, those tiny usages of tap water can make you sick if the water has harmful contaminants in it. Your options should not be limited to paying a lot of money for a small bottle of water or risking drinking unsanitary water. There must be an affordable, safe option. In fact, there is a solution. By using our 9 in 1 water testing kit, travelers can be sure the water around them is safe to drink. You don’t have to decrease your level of travel to stay healthy!